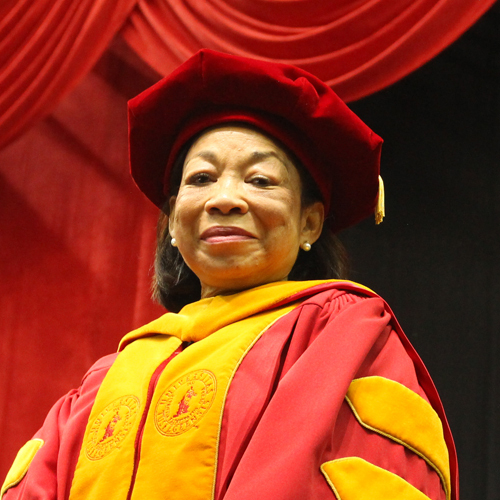 As Tuskegee University’s first female president, Browns Mills’ Lily McNair is an inspiration thanks to a strong belief in the limitless possibilities that can be achieved through educational excellence. Lily McNair decided long ago that she would never settle in life because she always believed that something bigger and better was around the corner. And she never doubted she would get there, always pushing herself to learn and grow while showing an unwavering determination to find success, both personally and professionally. It’s one of the reasons the Browns Mills native has achieved so much in her career as an academic administrator, including being named the first female president of Tuskegee University in Alabama. “I believe in lifelong learning—I continue to look for experiences that will help me to grow,” says McNair. A graduate of Pemberton High School, McNair went on to attend Princeton University where she obtained her degree in psychology. It was on the Ivy League campus where she became inspired to want to make a difference in the world of education. After working at several higher learning institutions including Spelman College and the University of Georgia, McNair was also formerly provost and vice president of academic affairs at Wagner College in New York before being named the eighth president in Tuskegee’s history. Just days after her presidential inauguration, McNair talked with South JerseyMagazine about her new role and being an inspiration to other women and the responsibility she feels comes with the position. She also told us what she misses about South Jersey, why Princeton was so important to her life’s path and offered her advice on how to never have a boring day. Can you talk a little bit about the honor of being named Tuskegee University’s first female president and what it means to you? What excites you most about your new role? Getting to know our students; hearing their voices on whatever topics are important to them—my role is to work with others to create a climate here that puts our students at the center of everything that we do. 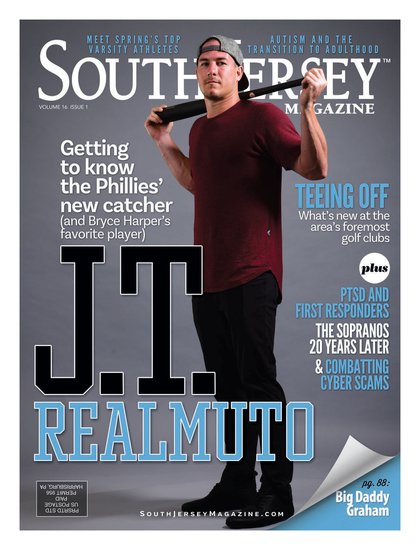 You are a South Jersey native, what do you miss most about home? In addition to my family, I miss the beaches and the summer corn, tomatoes and peaches! What was your experience like at Princeton and how did it shape your approach to education? Princeton set a foundation for my education that cannot be surpassed. Being a student at Princeton was much more than going to classes—I was part of a community of learners and friends, many of whom are still my friends to this day. My professors at Princeton are role models for excellence in teaching. When it comes to a student’s future goals, how do you stress that it is important to be realistic while also being ambitious? It’s always important to look at reality when considering optimism. Some aspects of reality can be overcome by a positive, optimistic attitude and a game plan for surmounting those obstacles. What’s some of the best advice you’ve ever received and do you carry those words with you to this day? Always do what you love—then you will never have a boring day. Yes, this is still important for me. I love what I do, and don’t consider it a “job” at all. Who are some of the people who have inspired you during your career and in what ways do you try and have the same impact on others? Rochelle Robinson, a former dean at Princeton; Ron Comer, a professor at Princeton; Lorraine Collins, a professor at Stony Brook; Beverly Daniel Tatum, president emerita of Spelman College. They have mentored me and have helped me to make important career decisions; I do my best to mirror their mentoring in my relationships. If you hadn’t followed a path into a career in education, what do you think you would be doing instead? I think I would be an artist or a novelist. Tell us about yourself away from the job, what are some of your hobbies or passions? I love reading—especially biographies and mysteries; I love watching classic movies, and I enjoy cooking. Without asking you to predict the future, where do you see the next few years of your presidency going and what kind of impact do you hope to make, not only with the student body but your colleagues as well? I hope to partner with the Tuskegee University community to deliver “Excellence in EveryWay.” [It’s] a theme focusing on doing everything we can—in a more excellent way—to support our students’ growth, both academically and personally.